The Three Sisters are the most famous sight in the Blue Mountains. People travel from all over the world to view the sisters from Echo Point's viewing platform - but this experience is different. This experience is for those with a true sense of adventure, who want to get off the beaten path and into the wilderness. Steeped in Aboriginal history and legend, the Three Sisters are a spiritual place of ancestors and there are many stories of how they came to stand watch across the valley. With a like-minded group of explorers, you’ll travel by scenic train from Sydney's CBD to tackle a full-day trek through the Blue Mountains' wilderness. 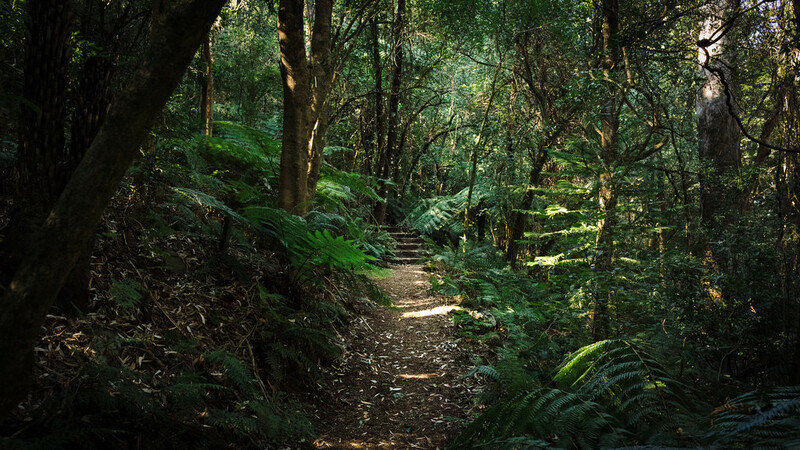 You’ll explore lush forests and stunning vistas before climbing 300m/1000ft (over 800 steps in total!) to emerge right beneath the Three Sisters themselves. You'll have the chance to walk across a bridge to get up close to the Three Sisters, before returning along the cliff tops, soaking in more incredible views of the Eucalypt​-filled valleys below. This Three Sisters hike isn't for the faint-hearted. As well as the 800 steps, you'll be walking over 14 km (9 miles) in around 5-7 hours. A high level of fitness is required. But...if you're looking for a true, challenging taste of Australian bushland topped with photo opportunities at the iconic Three Sisters - this is the hike for you. All money raised goes to supporting UNICEF! Normally around 7am, but we will confirm after booking.